The allure of Indochina is in the incredible combination of spectacular colonial architecture and stunning pagodas; the colorful chaos of market streets; the timeless villages and ancient temples. Among them, Laos and Cambodia are the two great countries where you are able to get into Riverside vibes, understand the floating life of villagers, as well as watching the imposing sunrise and sunset at the complex Angkor Wat. All these activities can be seen through Laos and Cambodia itinerary we offer below. Regardless of whether you are fond of engaging in an alms ceremony in Luang Prabang, or seeing impressive Apsara dance performances in Cambodia, each action brings different and amazing experience. As the gems of the Indochina region, both Laos and Cambodia are truly countries of phenomenal natural beauty, which blow your mind with their jagged limestone karsts, ancient crumbling temples, special cities, sprawling rice paddies, white-sand beaches and pink-hued sunsets. Today, let’s focus on the highlights of these countries to gain insight into Lao and Khmer culture as well as a chance to experience best of the best that such lands have to offer. 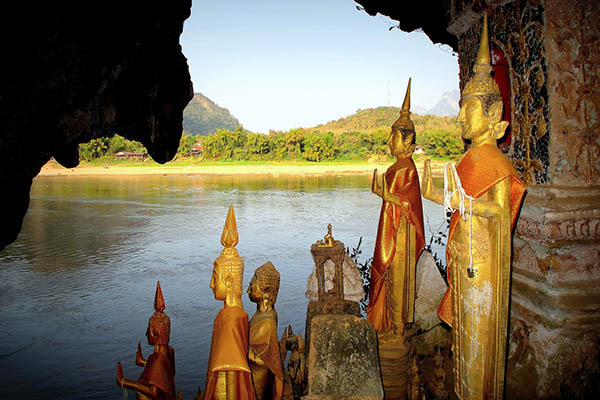 The sleepy beauty of Laos is highly recognizable by mankind. Every day, a number of tourists visit the land to enjoy its eco-tourism, untamed travel potential, as well as valuable cultural heritages of temples. In addition, the friendliness and hospitability of Laotians make your vacation a nice memory to remember. Whether you wish to savor the awe-inspiring nature, experience mysterious history, mingle with exceptional culture, or sample great food, the country never disappoints you. 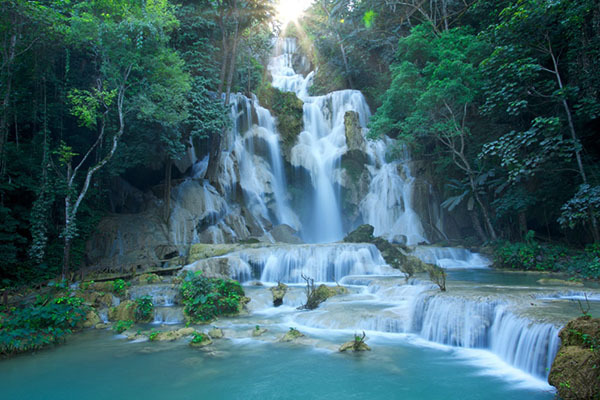 And the trip to Laos will be incomplete without checking in Luang Prabang – the country’s capital city. 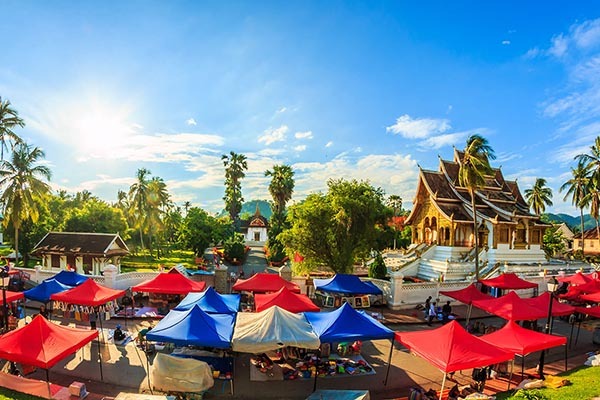 Situated in the north central Laos along the Mekong and Nam Khan Rivers, this old city was formerly the capital of the ancient Kingdom Luang Prabang. Nowadays, it remains steeped in both history and cultural importance, which can be clearly seen through lots of the religious Buddhist sites. 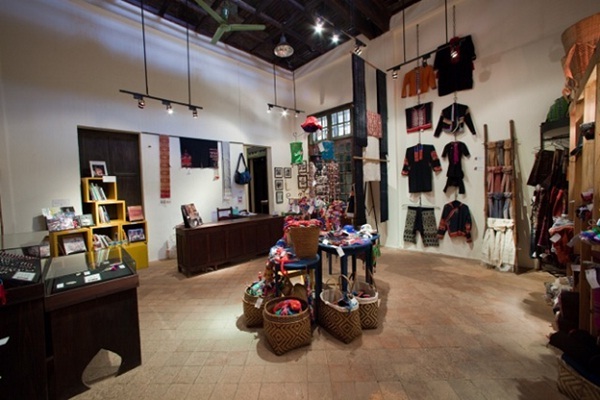 Undoubtedly, this is an ideal place to set foot in if you desire to immerse yourself in Lao history and culture. It is quite possible to admire gorgeous buildings and beautiful natural sites nearby. So, how to get the most of your time while in there? Let’s read and discover what you can expect from Laos And Cambodia Itinerary on Laos below. Simply seeing the museum from the outside leaves you dazzled by its stunning architecture. The prominent feature of the palace is the brightly intricate colored murals in the main hall which depict the locals’ lifestyle and are also a testament to the dedication and patience of the Lao people. The Pak Ou Caves are famed as one of the most treasured religious symbols in Luang Prabang, where thousands of Buddha statues in all shapes and sizes have been deposited over the years. As primarily a religious site, such two caves usually welcome a large number of visitors day after day. Also called Whisky village, this village is a reputable stopover where making wine process is the main job of the locals. 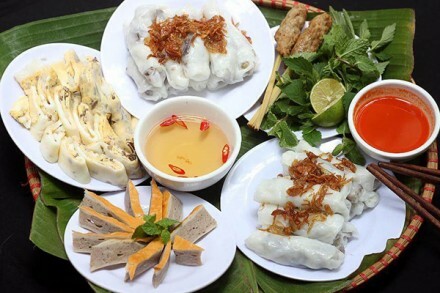 Coming Ban Xang Hai brings you a chance to taste the strongest Lao-Lao that is fermented and mixed with insects, snakes, and even bugs. Located at the northern end of the old town, Wat Xieng Thong is also worth your time since this is one of the most impressive and best-preserved examples of the 16th-century temple architecture as well as where many royal coronations traditionally took place. 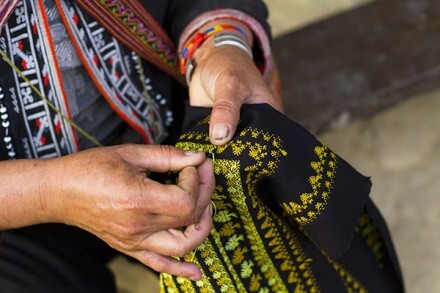 Don’t skip dropping by the Traditional Arts and Ethnology Centre and spreading your eyes over the preservation, collection, and interpretation of the traditional arts and lifestyles of many diverse ethnic groups in the country. People love coming to Wat Prabath to not only pray for luck and happiness but also watch the sun spellbindingly going down. This is the moment of peace and tranquility, too! 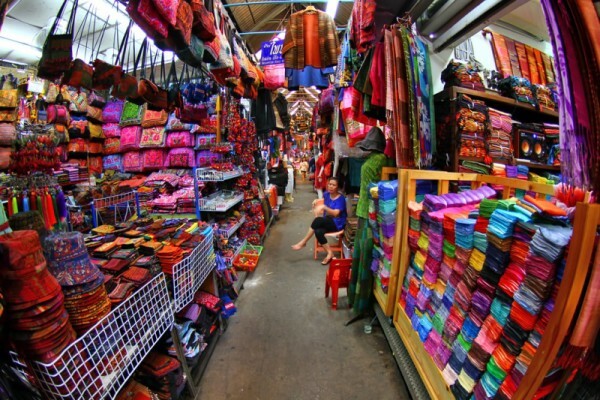 If you are hunting souvenirs or gifts for your beloved, then walking around the Night Market is a good idea. While the vendors are genuinely lovely and hospitable, cute items and souvenirs (i.e. iconic umbrellas or a small elephant made out of a bomb in a war) are easily found there. Let’s show off your respect and polite behavior while seeing the monks receiving their daily alms by quietly sitting on the opposite side of the street, along with using your camera without a flash. What attracts visitors to the temple is its giant stupa, namely That Makmo, situated on the temple compound. This stupa originally housed a lot of the ancient Buddha images. Before taking pictures, you should ask for permission first. Kuang Si waterfall wins an award for several staggering stages that start with a secret jungle plunge pool at the peak, and then end with an astounding series of emerald pools at the bottom. The best time to check in there is in the morning before the falls become too crowded. 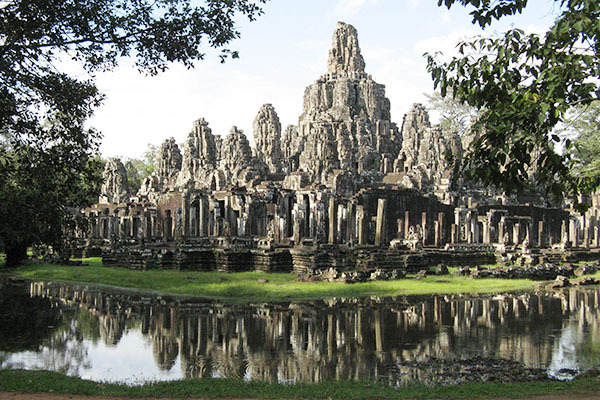 Cambodia is a must-see country that you should not skip in the Indochina group. It stands out from others in terms of temples and wats. The land’s enigmatic beauty, green rice fields, breathtaking temples, and unique history are considered the biggest magnets. Of course, there are a lot of stimuli why people choose to add Cambodia to their bucket list. While some are curious about its tragic history, others simply wish to spread their visions over the grandeur of many famous temples. Touring to such charming country means that you cost little but earn much. As the gateway to the temples of the Angkor Wat, Siem Reap today grows as the top choice which is in favor of numerous travelers in the world. It is estimated that over a million tourists pass through this city every year, which makes it the fastest growing spot in Cambodia outside of Phnom Penh. 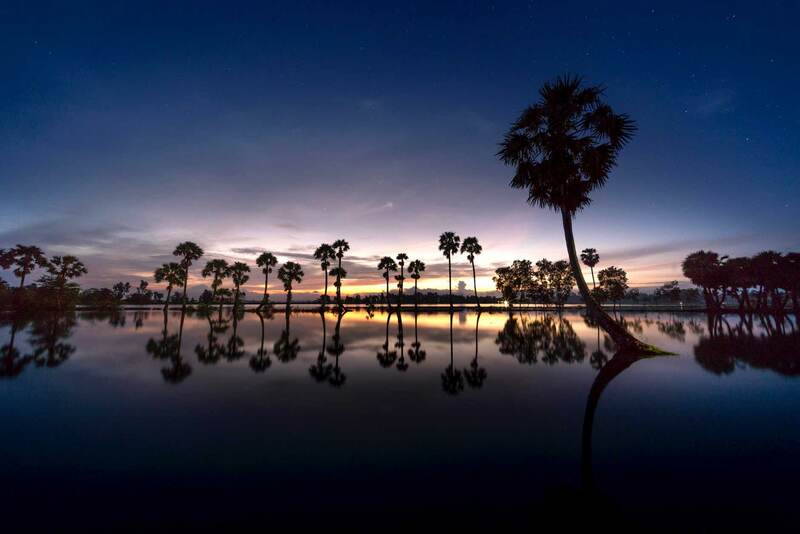 However, there are also a wealth of fun activities and glamorous attractions for you to do while in Siem Reap that go far beyond the ancient ruins. Consult and learn what you can gain from Laos And Cambodia Itinerary to Cambodia below. 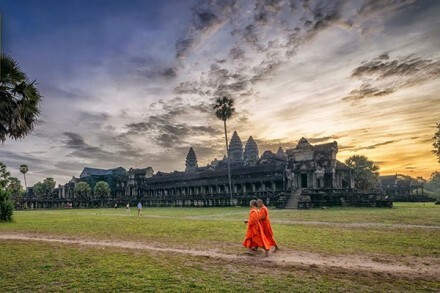 In fact, regardless of where you go and what you do in the city, the UNESCO World Heritage Site of Angkor Wat still becomes the primary draw, right? Try to spend time visiting Angkor Wat at sunrise or sunset since this is when the temple complex is at its best. Don’t forget your camera! Exploring the temple makes you feel that you are immersing into something hidden and ancient. Lots of the walls and structures have recently been smothered by strangler figs and silk-cotton trees, which create the mysterious vibe. Don’t hesitate to test your bargaining skills with the sellers at the Old Market when you are looking for souvenirs and whatnots. 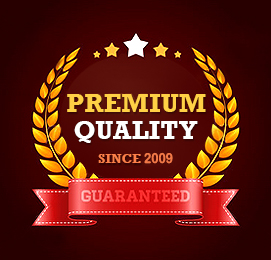 The place is where you can find anything, from T-shirts, silverworks, and jewelry, to handbags and brass sculptures. Most of the vendors don’t want you to leave their stalls and buy nothing. So, it is better to have yourself ready once getting inside. As the oldest monastery in Siem Reap, Wat Bo catches your attention with its beautiful and peaceful theme. 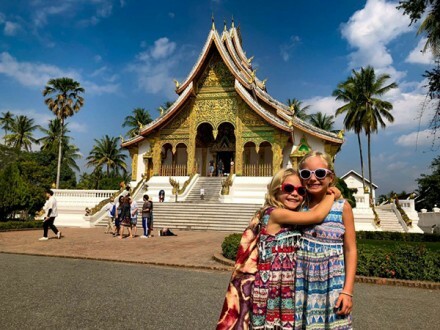 The wat generally features a primary pagoda, a school, as well as Buddhist sleeping quarters, which bring you the feeling a real monastic life. If you want to run away from the chaotic vibe of life, then a boat trip is a good idea. In general, outside the borders of Siem Reap town is a beautiful and peaceful countryside. 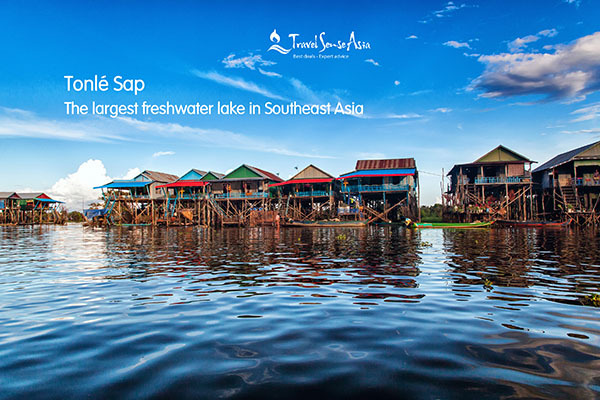 Meanwhile, Tonlé Sap Lake is the lifeblood of the nation. Hence, don’t forget to take a boat journey to the Lake and mingle with the lifestyle of the locals of Chong Khneas village. A lot of surprises are waiting for you! In brief, the above highlights are what you can enjoy during Laos and Cambodia itinerary. 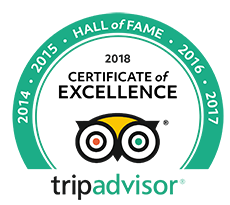 Quickly book our tour, discover such impeccable attractions, and gain hands-on experiences on your own now!